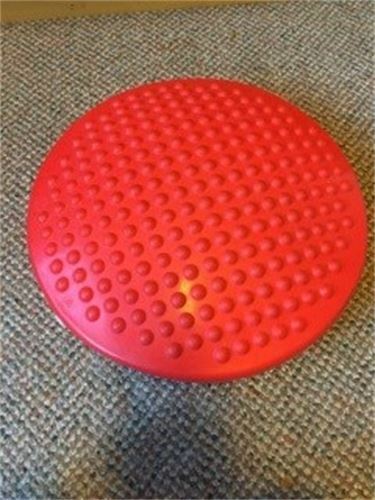 This wiggle cushion is helpful for sensory seekers. Spiky on one side and bumpy on the other, one can choose between the type of tactile input. Not only can the disc allow a child to wiggle while staying seated (allowing for better focus), it can double as a fine motor skill tool.